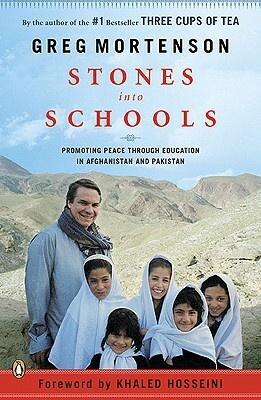 In this dramatic first-person narrative, Greg Mortenson picks up where Three Cups of Tea left off in 2003, recounting his relentless, ongoing efforts to establish schools for girls in Afghanistan; his extensive work in Azad Kashmir and Pakistan after a massive earthquake hit the region in 2005; and the unique ways he has built relationships with Islamic clerics, militia commanders, and tribal leaders. He shares for the first time his broader vision to promote peace through education and literacy, as well as touching on military matters, Islam, and women—all woven together with the many rich personal stories of the people who have been involved in this remarkable two-decade humanitarian effort. Since the 2006 publication of Three Cups of Tea, Mortenson has traveled across the U.S. and the world to share his vision with hundreds of thousands of people. He has met with heads of state, top military officials, and leading politicians who all seek his advice and insight. The continued phenomenal success of Three Cups of Tea proves that there is an eager and committed audience for Mortenson’s work and message. Greg Mortenson is a cofounder of the Central Asia Institute. A resident of Montana, he spends several months of the year in Pakistan and Afghanistan.